MIU Library has 23 units available for quiet individual study, located in the Electronic Library, on the second floor, in the Main Building. MIU Library has established policies to access these units. All library patrons are expected to abide by these policies. Any failure to comply with Library Policies could result in temporary suspension of individual study unit privileges. To reserve your study unit, please visit and log on to our Library Booking System to pick your appropriate time slot and accessories. Once you confirm your reservation, the unit is yours for the chosen period. If you have any questions or concerns, please refer to the Information Services Desk, in the Electronic Library. Students must have a valid MIU email account to book a unit. 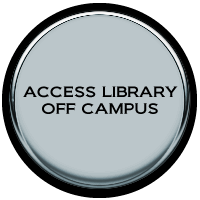 Students can reserve their units through the Library Booking System on our Library Portal. Students have to reserve online before using those units. Reservations are available from Sunday to Thursday, from 8:30 am – 4:00 pm. Each student can book one time slot only (1.5 hour) per day. The system will not allow any user to book units for a longer time period. You can reserve a unit up to a working week (Sunday – Thursday) in advance. You must leave your ID card before using your reserved unit. You can receive a headphone, if you have chosen it from the accessories option, on the Booking System when you step in to use your unit. Printing service is available for any user who would like to print from the Library online databases. Always delete your reservation if you do not need the unit. Individual Study Units are unlocked, therefore they are intended for quiet individual study ONLY. Avoid eating, drinking, smoking or using mobile phones, inside the unit. Leave the unit clean and tidy when leaving for the next user belongings. Library users are responsible for their personal property once the users show up and should never leave personal belongings unattended. Report any problem concerning the unit, to the Information Services Desk. MIU Library Information Services Department provides classes that aim to enhance the knowledge levels of both MIU student and faculty. The Electronic Library has a well-equipped Orientation Room for both MIU instructors and librarians to execute their class inside the library, allowing the students to utilize research tools and techniques to gain profound knowledge from all library resources for a particular project, paper or field of study. The Orientation Room includes 16 public access PCs, one PC for the instructor and wireless connections for internal use. It also includes a data show projector. To reserve your class, please visit our Library Booking System. Instructors must have a valid MIU email account to book a class in the Orientation Room. Instructors can reserve their units through the Library Booking System on our Library Portal. Instructors have to reserve online at least one hour before executing their class. The room has a capacity of 16 students as a maximum and 1 instructor. Reservations are available from Sunday to Thursday, from 8:30 am – 4:30 pm. Each instructor can book up to three time slots (1.5 hour each) per day. Instructors can reserve their classes up to a working week (Sunday – Thursday) in advance. Always delete your reservation if you do not need the room. MIU Libraries allow instructors to conduct their classes inside the Electronic Library. Reservations are offered five days per week, on condition that only one class is conducted at a time. Book a time slot that suits your schedule by accessing Classroom Schedule on our Library Booking System. Avoid eating, drinking, smoking or using mobile phones. Leave the class clean and tidy when leaving. Library users are responsible for their personal belongings and should never leave personal belongings unattended. Report any problem concerning the unit to the Information Services Desk.